Lette Painting is an Australian, family owned painting and decorating business, servicing South East Queensland. Starting out as a husband and wife small business in 2006, painter and decorator Tyson and his wife Kate have nurtured and grown Lette Painting into a team of professional, reliable, and friendly painters and decorators, and have become a prominent residential and commercial contractor. Lette Painting pride themselves on providing expert workmanship, at an affordable price. 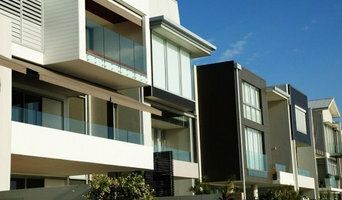 A&A Painters Australia is a high performance painting company established in 1993. As an established and trusted professional painting and decorating company, we have a reputation for providing high quality workmanship and reliable service to our clients. We have the knowledge and expertise in all areas of painting and decorating to cover all aspects of residential refurbishments up to large scale commercial building works. With services ranging from painting new or renovated residential homes and apartments to large industrial scale projects the Sovral team is well equipped to meet the needs of any prospective customer. Whether a project requires knowledge of identifying and treating lead paint hazards, specialist surface preparation prior to painting or a host of other specialist situations Sovral Painting has the experience, knowledge and a team of experienced tradespeople to tackle any project with confidence. Kendall Custom Painting has been operating in the Ipswich and surrounding areas since 2005 providing the highest level of workmanship and professionalism in the painting sector for domestic and commercial clients. We strive to achieve quality results on every job with efficient and friendly customer service that leaves the clients always satisfied and often resulting in repeat business or referrals to future clients. For all your painting needs. Let us guess, you are tired to stare in the same wall colours over and over again and you want to make some radical changes but you don't know how? Well, we think that it is about a time for you to cast away all doubts because we from Wallpapershop know exactly what you need. Spice up your home interior, change the wall appearance in every room in your residence and instead of colored walls opt for wallpapers that come in whole variety of designs and prints. Wallpapershop is your one-stop online store that supplies you with vast range of different wallpapers, wall murals,wall stickers for more playful look and many other accessories related to interior design. Another thing worth mentioning is that we offer you free shipping Australia wide on all orders over $200 and can direct you to a local installer for more professional installation of your wallpaper. If you are thinking to redecorate your house or living space then we dare you to take the advantage to scroll through our website: www.wallpapershop.com.au and to purchase your preferred wallpaper design that you'll admire in the years to come. Pro-Dec QLD is a family-owned and operated painting and decorating company. 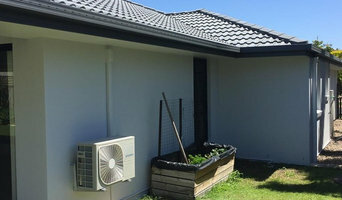 Based at Everton Park on Brisbane’s north side and being locally owned, we are determined to deliver top quality painting services to all clients. We are Queenslander specialists and take great care in lead paint removal by using the latest techniques for the safety and well being of our staff, clients and others. Our reputation means everything to us. That’s why our clients can always count on us behaving with the utmost attention to safety, efficiency and tidiness. We believe that the best way for us to continue to grow and be successful is to do an amazing job every time. We hire only very experienced tradesmen who are committed to delivering the best possible work, in time to meet our clients’ deadlines. 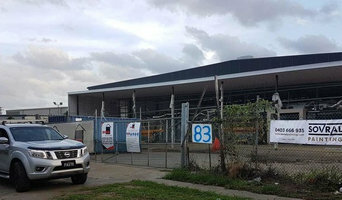 You can confidently choose Pro-Dec QLD to professionally paint your Queenslander, factory, shops, offices, schools and other buildings, inside and out, new or refurbished. We are trusted by Body Corporates and government clients. 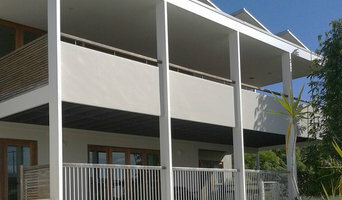 Accurate painting has been established in Brisbane and surrounding areas for over 20 years. Our focus is you. Transform your home with a new vibrant or contemporary color style; nothing beats the advantages and value of a fresh coat of paint. Spring Architects is run by directors Stephanie Skyring and Michael Maguire. 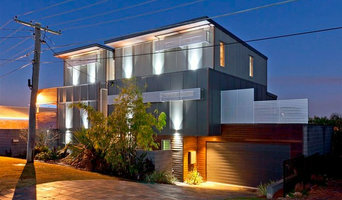 We specialise in residential and commercial architecture and interior design projects. We love what we do! We have a passion for creating truly great places to live and work through collaborative design and construction, great ideas and common sense sustainable design solutions. We provide a flexible range professional design and advice services tailored to suit your individual project needs & budget. Talk to us about your next building project and we will get you started on the right track - obligation free.